I can cook but I'm no baker! 9 out of 10 times ... end results does not go down well with the taste buds. Frankly I know where my weakness lies and it's because I'm so lame at following the measurements. I'm one who searches for the simplest of recipes with the least of ingredients. I guess that way if I fail ... I won't feel the pinch when all of it goes straight into the dumpster. 9 out of 10 and that one successful round of Oatmeal Cookies has had lo kong bugging me for more. An additional request was that I'm to help him finish his chiaseed by adding them to the cookies. Just like cooking ... baking too must not be a drill. 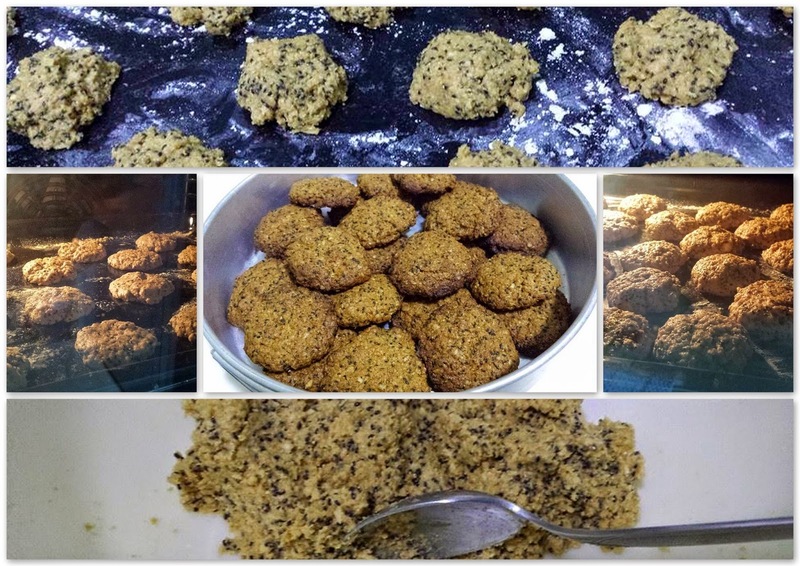 So yesterday, while waiting for lo kong to reach home after work, I decided to make Chiaseed Oatmeal Cookies. I had found an easy to follow recipe and I had all the ingredients on hand. With a little tweak on the method, I managed to bake almost 40 pieces of cookies just under 1.5 hours. It was just in time to pop a sampler into lo kong's mouth as he walks in through the front door. Lo kong gave his thumbs up followed by my other hero, Nick. I'm personally proud of it as this batch has the best result. The cookies crunchy, flavorful, healthy and it tastes like my favorite IKO Oatmeal Biscuits. 9 out of 10 ... this is a fluke shot success but I'm confident I'll still get this right again the next time!